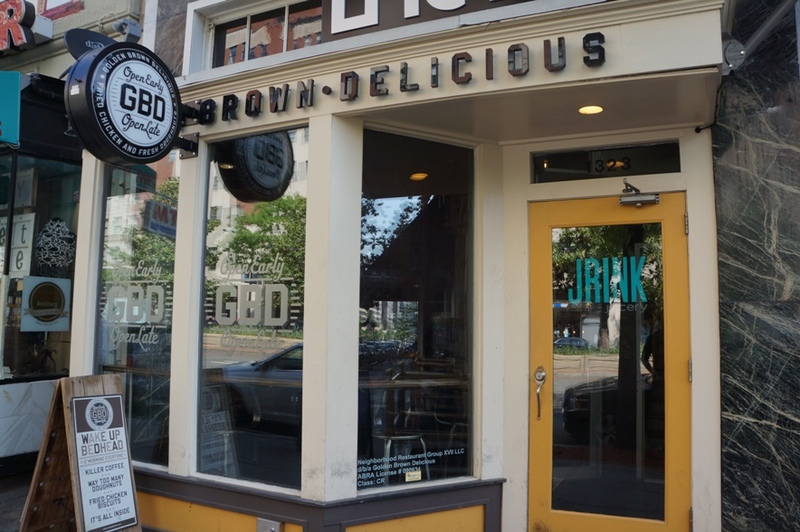 Located just south of Dupont Circle, Golden Brown Delicious (or GBD for short), specializes in the ultimate sweet and savoury combination: fried chicken and doughnuts. The restaurant is brought to us by the husband and wife team chef Kyle Bailey and pastry chef Tiffany MacIsaac who are also behind the highly successful restaurant Birch & Barley. 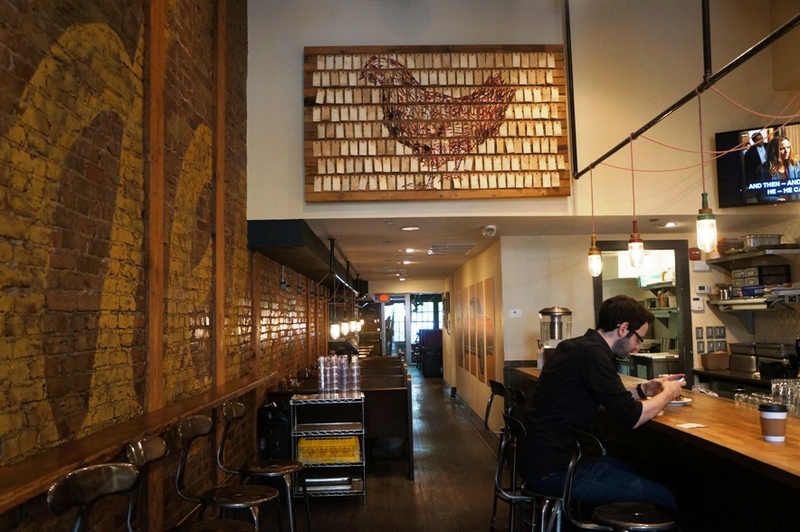 Upon entering the space, I was surprised by how large and polished the place looked. 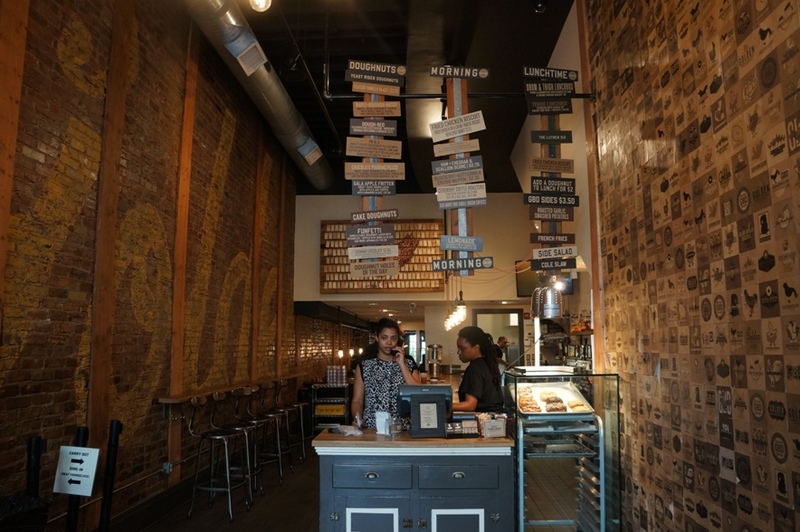 I loved the exposed brick walls and the repurposed church pews used for seating. 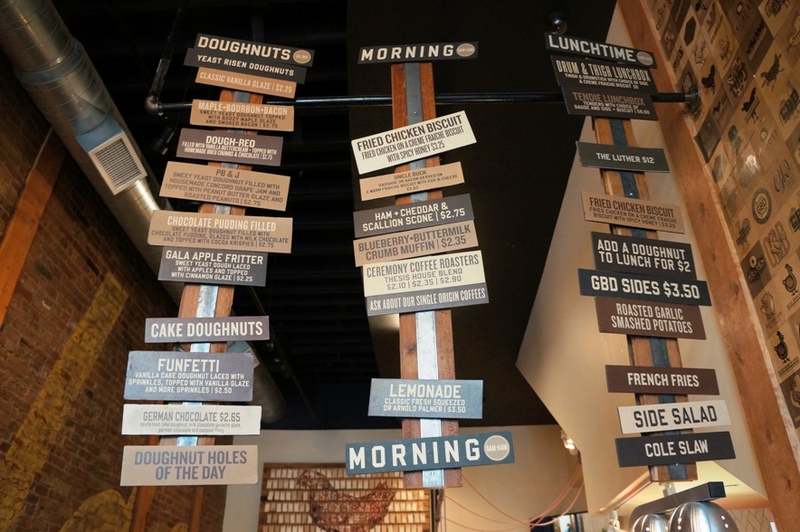 Near the front of the space, you’ll find a glass display case full of the day’s offerings of doughnuts. A cashier is located near the front of the long and narrow space to accommodate the grab-and-go customers. For those who want to eat-in, there’s a long counter with stool seating as well as a long dining room with booths at the back of the restaurant. GBD’s menu consists of fried chicken (au naturel), Big Plates which includes The Luther (a fried doughnut sandwich with fried chicken), Snackies (including fried mozzarella, chicken baos and wings) and a selection of dipping sauces to complement your chicken. And let’s not forget about chef MacIsaac’s fresh homemade doughnuts. They offer trendy flavours like crème brulee and maple bacon bourbon as well as classics like apple fritters. But they also have some unique offerings like grapefruit Campari old fashioned. 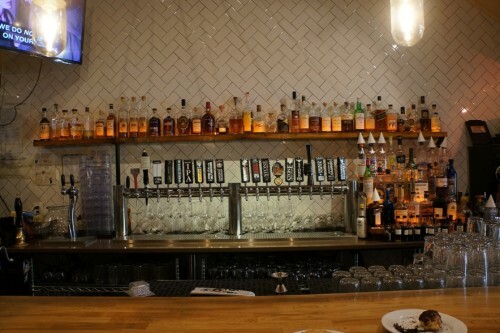 GBD is also licensed meaning you can pair your fried chicken and doughnuts with cocktails, beer, wine or punch (available by the jar or jug). 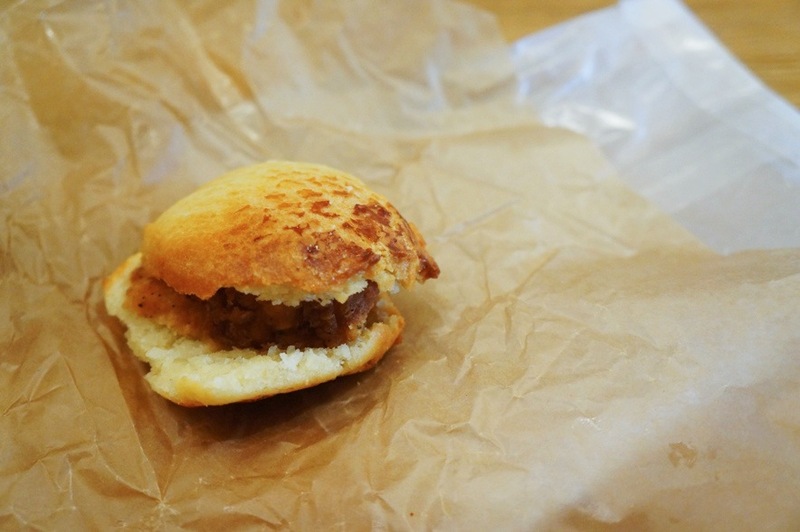 Size aside, the chicken biscuit was amazing. The perfectly crisp buttermilk brined chicken was juicy and had just the right amount of grease. The soft, fluffy crème fraiche biscuit was just as good and I loved the sweet and spicy honey that topped the chicken. Really, really good! 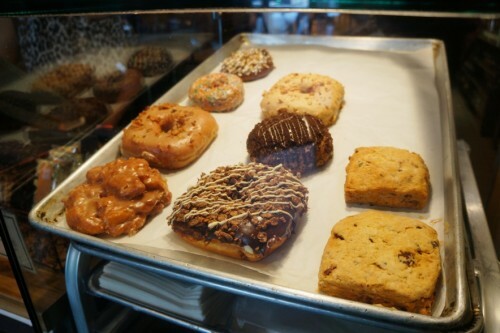 On the sweet side of things, we decided to get a couple doughnuts. 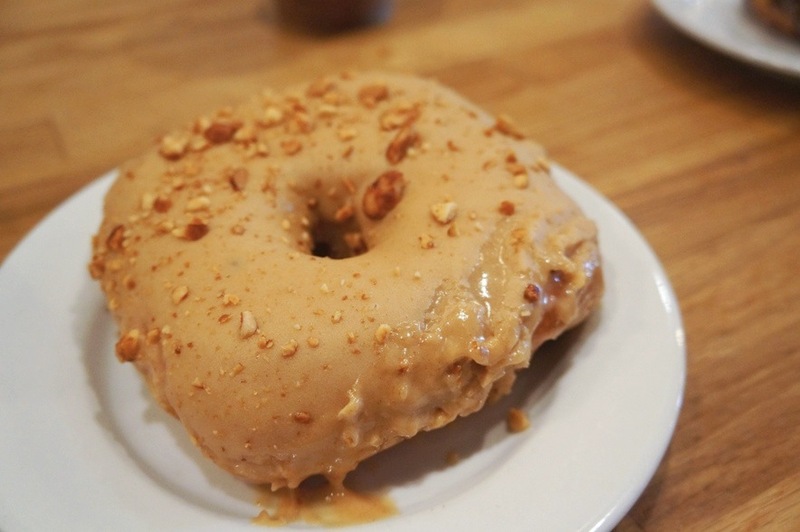 The first one I dug into was the PB&J Doughnut – sweet yeast doughnut filled with house-made concord grape jam and topped with peanut butter glaze and roasted peanuts ($2.75). 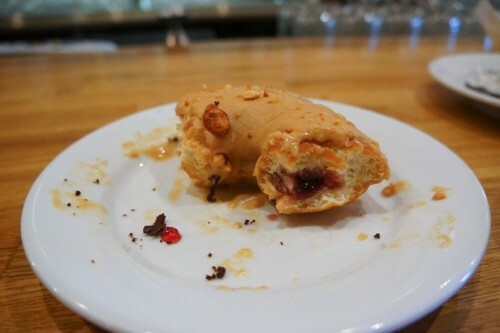 While I enjoyed the grape jam filling and the peanut butter glaze, I found the doughnut base to be a little too heavy and dense. Overall, decent but I’ve had better PB&J doughnuts. 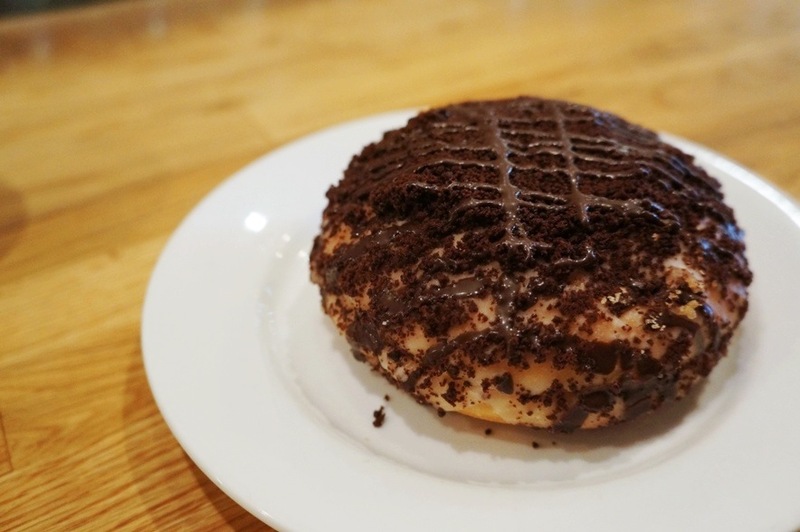 The second doughnut we ordered was the Dough-reo – filled with vanilla buttercream and topped with homemade Oreo crumbs & chocolate ($2.75). The doughnuts here are definitely dense and heavy! This one also seemed to weigh a ton. Taste-wise, I preferred the Dough-reo. The vanilla buttercream filling, while certainly on the sweet side, was quite delicious. It’s definitely a doughnut that requires a cup of coffee to go with it. So, what’s the verdict? I’d come for the chicken (or more specifically, that chicken biscuit!) but I’d skip the doughnuts. With all the doughnut shops popping up everywhere these days, I’ve had my fair share of doughnuts. While the ones at GBD weren’t bad, they wouldn’t be near the top of my list either.